Being a leader is a huge responsibility. Others look to you to set the example. Read Genesis 12:10-13. God tests leaders to see if they are ready for the next challenge He has prepared for them. Tests vary by leader and by stage of growth. Often, God tests to see what the leader is willing to sacrifice to follow Him. 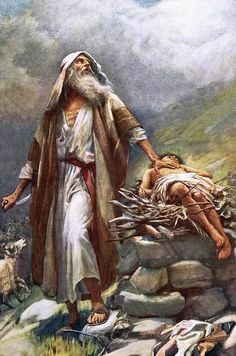 Consider the test God gave Abraham (Gen 22:1-18). Think about what you are willing to sacrifice to follow God at this point in your walk with Him. Have you considered your leadership potential from God’s perspective? Read Genesis 6:8-18. God doesn’t always choose the person with the most talent or social standing to take a key leadership role. He looks for those who walk with Him daily, who hear His voice, and seek to please Him.